As Senior Vice President, Corporate Development, Chief Legal Officer and Corporate Secretary, Peter Necheles brings over 20 years of business and legal experience to Agero. In his role, Necheles is responsible for corporate development activities including domestic and international strategic relationships and acquisitions, as well as for legal services such as regulatory compliance, contract negotiations, and general corporate matters. Prior to joining Agero, Necheles was senior counsel for the warranty division of Solectron Corporation, an electronic equipment manufacturer (acquired by Flextronics in 2007). 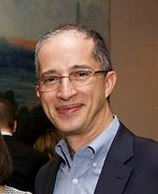 He has also served as senior counsel with Stream International, an international call center business, as a junior partner with the law firm WilmerHale (formerly known as Hale and Dorr), and as a senior policy advisor at the U.S. Department of Treasury as a member of the Clinton Administration. Necheles received his bachelor’s degree from Colby College and his juris doctor degree from the University of Pennsylvania Law School.